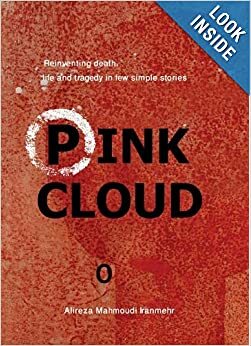 The English version of Alireza Mahmoudi Iranmehr’s ‘Pink Cloud’ has released in the world by Candle and Fog Publications and will be published in the Iranian book market by Phoenix, IBNA reports. Translated by Mitra Hooshiar and Sanam Kalantari, the collection entails stories about Iran’s 8-year war with Iraq during which nearly a million soldiers of the two nations perished. The English version of the work was recently published by Candle and Fog in the world and has just received the permission by the Culture Minister for publication in Iran. Phoenix will release the work in the Iranian book market. The ‘Pink Cloud’ has appeared in the Rochester Times-Union and includes 9 short stories which have not so far released in Persian. Alireza Mahmoudi Iranmehr was born in Mashad, Khorasan Razavi. He started his literary career in 1990 and won his fisrt literary award for one of his short stories. He is also an avid playwright whose works are regularly dramatized in radio shows.